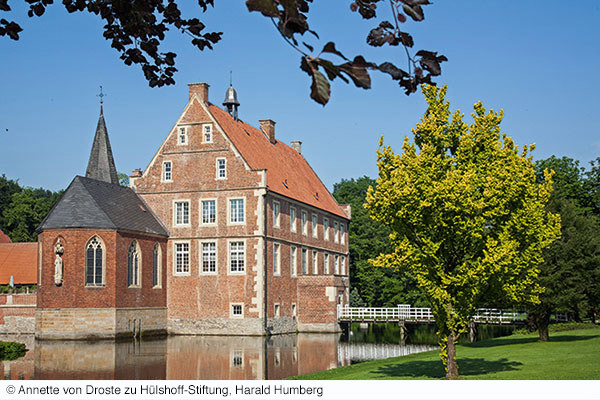 Burg Hülshoff is where Annette von Droste zu Hülshoff lived, the most famous female poet of Westphalia, who was born in 1797. Surrounded by a moat and situated in idyllic, immaculately tended grounds, the castle offers wonderful views. The Droste Museum, comprising several rooms in the ground floor of the castle, provides insights into Droste’s life (a 40-minute audio guide in English is available).